Our firm is dedicated to zealously representing our clients and listening to their needs. Sacchetta & Baldino’s lawyers focus their personal injury practice solely on the representation of the individuals injured by the negligence of others. We have the experiences, resources and know-how to get the best possible results for our clients – and the sensitivity to treat our clients with compassion and respect. Sacchetta & Baldino lawyers have achieved many multi-million dollar verdicts and settlements and handle matters involving defective products, construction accidents, worker’s compensation, premises liability, motor vehicle accidents, medical malpractice, wrongful death, bicycle accidents, birth injuries, brain injuries, insurance bad faith, motorcycle accidents, nursing home abuse, truck accidents, and sexual abuse. We represent people, not big business and not the insurance industry. 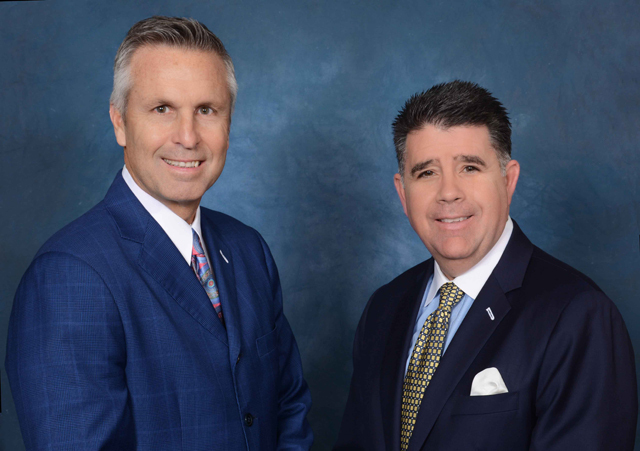 Sacchetta & Baldino Attorneys are proven litigators and skilled negotiators, the firm’s attorneys have achieved many multi-million dollar verdicts and negotiated countless high-dollar settlements for their clients. Their results are ranked among the state’s top 50 verdicts and settlements thirteen out of the last sixteen years as tabulated by American Lawyer Media. These attorneys are tenacious, and their clients count on them to commit the maximum time and resources necessary to ensure the best possible results. Clients count on their compassion as well—the attorneys are always sensitive to the difficulties and emotions involved when someone suffers a severe injury. The attorneys at Sacchetta & Baldino fight for justice for clients whose lives have been devastated by injury or the death of someone they love. Tom Sacchetta and Bruce MacKnight Jr. are two of the first lawyers in the State of Pennsylvania to be certified as specialists in the practice of workers’ compensation law by the Pennsylvania Bar Association Section on workers’ compensation law, as authorized by the Pennsylvania Supreme Court. Partners Tom Sacchetta and Jerry Baldino are certified in civil pre-trial practice advocacy by the National Board of Civil Pre-Trial Practice Advocacy and in civil trial law by the National Board of Trial Advocacy. Partners Jerry Baldino and Tom Sacchetta have been included on the Pennsylvania Super Lawyer list for 12 years in a row and have been identified as the top 100 lawyers in Philadelphia and in Pennsylvania. Bruce MacKnight, Jr. has been included on the Super Lawyers list since 2012. Baldino, MacKnight and Sacchetta have also been named to the 2016 Pennsylvania Super Lawyers list. Tom Sacchetta is certified by the Supreme Court of New Jersey as a civil trial attorney. Baldino and Sacchetta are listed for the 11th year in a row and remain committed to zealously defending the rights of their clients. Sacchetta & Baldino is not only dedicated to success in the courtroom, but prides itself on giving back to the community to make it stronger and safer. The firm and its principals donate much of their time and money to numerous causes to help the underprivileged.